The first time I heard the title “independent graphic facilitator” I must admit I was not very much impressed and did not see the value such a person could deliver. Can’t an educator, psychologist, trainer or a manager, for that matter, just use visual techniques and be such a “facilitator”? Pen Mendonca changen my mind about it and showed me that getting the deepest thoughts and feelings out of people is sometimes harder than it seems, as is rallying them around a common cause or vision. Pen uses, among others, process design, meeting facilitation techniques, graphic recording and illustrations for her engagement and development work within the private, public and third sector. 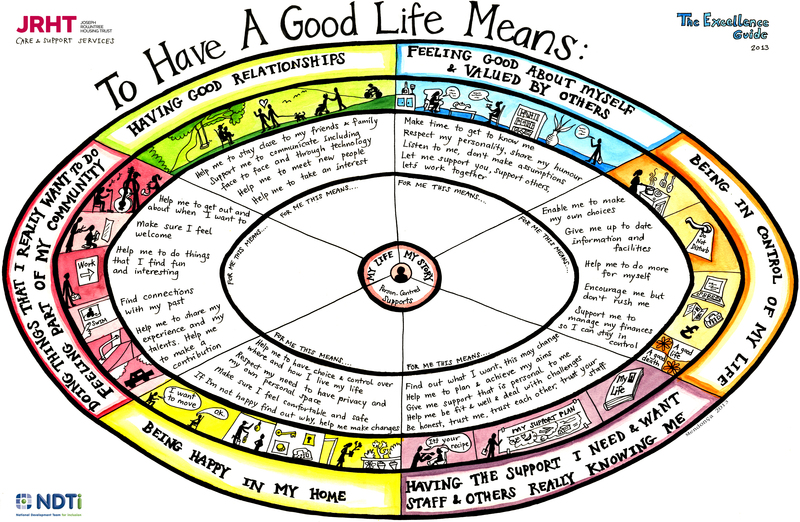 Her graphic facilitation visuals share a certain sense of innoncence and naivity, traits that I believe are intentionally embedded in the visuals as a form of empathy and also for simplicity. It crossed my mind that, should I ever take on freelance photography, this technique would allow me to better grasp the brief of the client or, should there be any differences between certain stakeholders regarding the scope of the photographic project, such an approach could help nail and clarify a common objective. 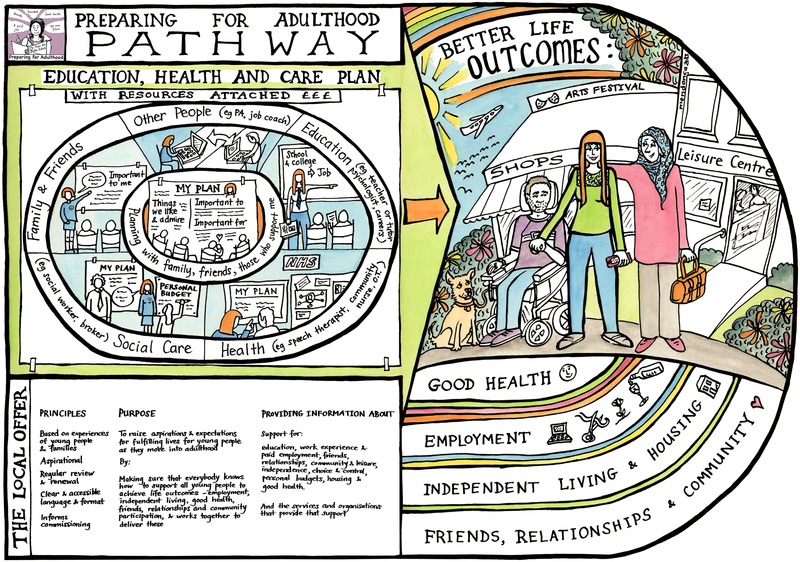 Her best works related to graphic facilitation are, in my opinion, “Preparing for adulthood pathway” and the graphics for Joseph Rowntree Housing Trust. The process of solving the given problem is so simple, so obvious, that it is impossible not to relate with Pen’s illustrations. The circle pattern I recognise in most of her graphics is definitely related with the individual as a subject of the process. That is where the visual pathway towards the solution starts, and that is also the point that Pen stresses the most, as she needs to fully understand her „patients” in order to get to a bottom line. By using pictures alongside words, Pen is able to present complex ideas that she „plays back” until shared agreement is finally reached on those subjects. She also uses storytelling and strategy maps, which I believe could also be useful in complex photographic assignments. I believe this would create a big added value when introduced to clients that have only a vague idea what they need, and would also complement the photographic workflow in terms of method and steps to be taken. Last, but not least, I learned from Pen that the only way of getting real results is by showing empathy and self-confidence. Sure, the mature corporate culture across the UK makes things a lot easier for this kind of facilitation, but I guess that in the end connecting with people is what makes them share their thoughts, open and work towards a common goal. Processes, all by themselves, don’t achieve much.